Working closely with online teachers has given me a great insight into what ultimately makes someone a success online. 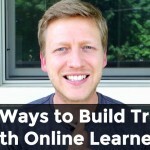 Having a plan in place is crucial and, recently, I discussed the importance of building trust with learners online. But in this post, I want to highlight three things that you need to do to ensure that you reach your goals, allowing you to take control of your teaching and income over the long-term. When I made the transition into online teaching, I was fully committed to making it work. My goals were different back then; I was very content teaching around 25 one-to-one lessons per week. I had no set plans to teach group lessons, create courses or earn more of a passive income. But I was pretty single-minded about reaching this initial goal. There were so many ups and downs in the early days: the high of my first student; the low of my second student going AWOL after a couple of weeks. I also had problems with my website – I knew nothing about coding or WordPress in those days – and these early setbacks and challenges can make a big impact on your confidence. It’s easy to give up when something goes wrong. It’s easy to think that each setback is a sign that it won’t work for you. But the good news is this: if you are committed and consistently do the right things, then you will achieve your goal. It’s just a matter of when. If you have this mentality, your YouTube subscribers, email followers, and lesson requests will keep increasing. And if you manage to build some momentum, then there is the potential to see exponential growth. On the other hand, if you take small setbacks to heart and don’t have the mentality to keep improving and keep consistent, then things will most likely not work out for you. I’ve seen some teachers achieve their goal of having a full schedule in a matter of weeks. Some take longer. Others never get there. Everyone is different and there are many factors at hand. But those who end up being successful are those who are committed to making it work. When you have this mentality, it shows in the way you communicate, on your website, and in your videos. It’s contagious and something that learners will pick up on. Commit to your goals. Commit to overcoming obstacles along the way. And commit to your improvement as a teacher and and as a marketer. As I mention in my webinars and interviews, I was a lone-wolf when I first started online. 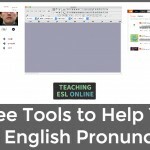 Whenever I came across another site offering online English lessons, I would worry about my learners finding it. Competition made me anxious and I thought that there was limited room for online teachers. But I have since learned that there is no competition if you set things up correctly. I saw massive growth in my online business once I started reaching out and collaborating with other teachers. It was incredible to connect with others who were doing something similar; we learned from each other and also offered support and advice when it was needed. I’ve been part of two wonderful mastermind groups over the past year. Sharing my goals, and being held accountable for them, has given me the motivation and the commitment to keep progressing. And I’ve gained so much from seeing how others are achieving their goals. Since first putting myself out there and reaching out to others, I’ve seen an online community of independent teachers grow stronger and stronger. There is a definite sense of togetherness and collaboration. And this is only a good thing for us teachers and our learners. So, get out there and make connections. When I made the decision to expand my business, I had to get out of my comfort zone. At the time, I was comfortable with my income and daily routine. In fact, I’m very comfortable right now, too. But it’s important to be always moving forward otherwise things can quickly go stale. 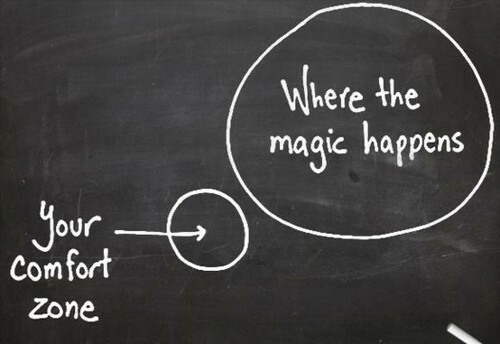 If you’re new to online teaching, then you will most likely have to get out of your comfort zone too. Because it involves doing things that are different. The majority of teachers won’t know much about making videos, online marketing or creating a website that converts. I knew very little about these areas back in 2010, but I invested in myself and made the commitment to make it work. Along the way, there were many instances of when I had to get out of my comfort zone. But each time, I’m glad I did. Sometimes things worked out (great! ), sometimes they didn’t (I still learned something). And today, as I look to grow a large audience and move into new areas of online teaching, I need to keep doing things that are a little bit scary. I need to keep experimenting. Because as the popular meme states, this is where the magic happens. 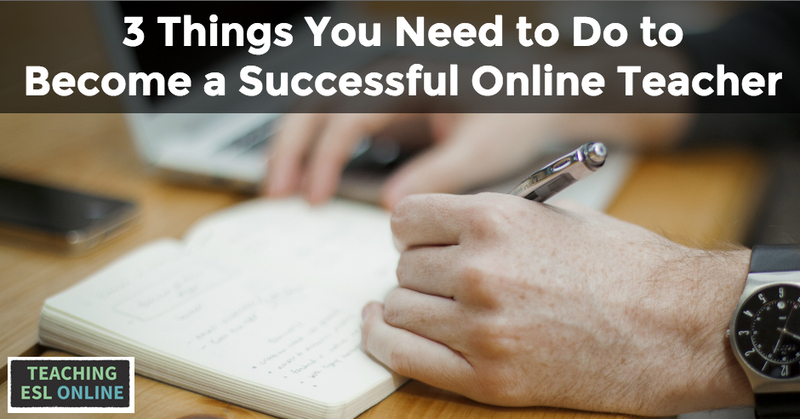 Moving online is a journey with so many future possibilities but, as I mentioned, there are certain things that you will need to do to make it work. In the comment section below, please share your journey and let me know if this post resonated with you.